Tigbauan is a second class municipality in the province of Iloilo, Philippines. According to the 2010 census, it has a population of 58,814 people. The municipality has flat terrain. The plain is approximately 57%of the total area, covering about 6,667 has. along the northwest site of the Sibalom River. Along the boundaries of Guimbal, Leon and Tubungan are rolling hills covering an area, of about 1,518 has. The municipality has no forest cover. The highest point is 200 metres (660 ft) above sea level and lowest is one (1) meter above sea level. The town has two main rivers, Sibalom and Tacuyong River. The first originates from the mountain portion of Panay passing the town of Leon and snaking through the barangays of Cordova Norte and Cordova Sur, Bitas and Bagumbayan, the western portion of the poblacion and empties into the Panay Gulf. The second emanates from the junction of Brgy. San Rafael, Binaliuan Menor, Nagba, Dorong-an and joins the Sibalom River in the Southern potion of the Poblacion. Aside from the rivers, there are creeks and natural springs, which could be a good source of water supply and could also be used as natural drainage. Of the total 8,889 has. 93.78% is devoted to agriculture and allied activities. Of this area, 1,077 has. are planted with coconut while 4,554 has. with rice and 19 has. are devoted to fishpond. Around 60 has. are located to urban uses are residential, commercial, and institutional. Tigbauan is politically subdivided into 52 barangays (“Pob.” is an abbreviation for poblacion). The Maragtas Legend tells us, that in the 12th century, ten (10) Bornean datus or chieftains left their homeland in the island of Borneo. In order to escape the cruel tyranny of their king, Sultan Makatunaw, they sailed towards the north in their long boats called “balang-hais or barangays.” They landed here on the island of Panay, in order to live a life of unrestricted freedom. 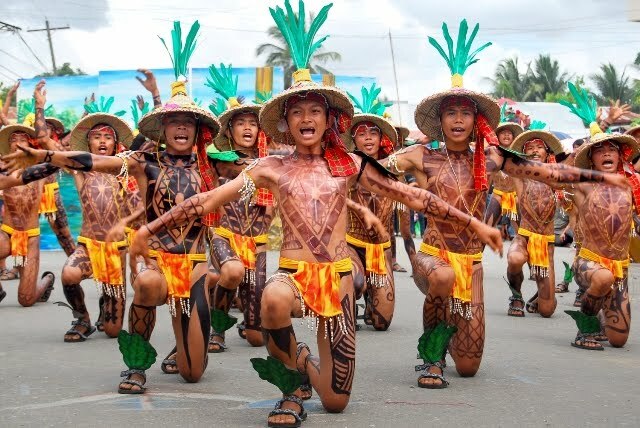 After the purchase of Panay, it was divided among three (3) Bornean chieftains, namely: Datu Sumakwel for Hamtik (Antique); Datu Bankaya for Aklan-Capiz; and Datu Paiburong for Irong-irong (Iloilo). 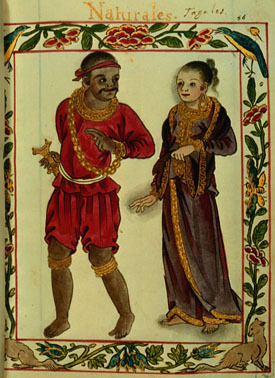 Datu Puti and the rest of the Bornean Chieftains left for Luzon. Population increased mostly in the Siruwagan area (presently located in San Joaquin, Iloilo), were most of the Borneans settled down. And so, families from the tribes of Labing-isog and Mangwalis decided to settle elsewhere in Panay. They sailed in their long boats, and followed the course of the rising sun. They landed on a place which they immediately called “Katigbawan” because of the thick growth of a species of giant grass or tall reeds on this place, known to them in their native dialect as “tigbaw”. The famous Spanish Jesuit Historian Fray Pedro Chirino, SJ, called this place “CAMPO DE SUARAGA” (a field of reeds). A form of local government was functioning well in “Katigbawan”, when the Spaniards discovered it sometime in 1575. That year (1575), the Spaniards came from their Administrative Center in La Villa Rica de Arevalo, and established the “Pueblo de Tigbauan”, having shortened “Katigbawan” to its present name-the town of Tigbauan, in the Province of Iloilo. The Spaniards later transferred the administrative seat or Poblacion of the “Pueblo de Tigbauan,” from Parara to its present location. Tigbauan was the site where American forces code-named Victorino I, landed on March 18, 1945 together and forever with the Philippine Commonwealth troops under the Philippine Commonwealth Army’s 61st, 62nd and 63rd Infantry Division and the Philippine Constabulary’s 6th Infantry Regiment to begin the liberation of Panay. The troops set out from Lingayen Gulf, Luzon on March 14. 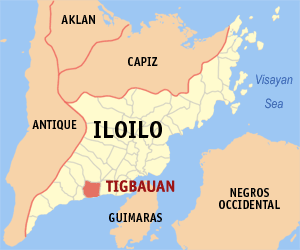 The 185th Infantry, 40th Division, splashed ashore at Tigbauan, several miles west of Iloilo. There they were greeted by Army Col. Macario L. Peralta’s Filipino guerrillas and continued with the Philippine Commonwealth troops drawn up in parade formation. General Eichelberger recalled in his memoirs how the guerrillas stood “stiff in starched khaki and resplendent with ornaments.” The strong guerrilla force of 23,000 had secured most of the island’ except the area immediately around Iloilo where 2,750 Japanese were ensconced. The 40th Division quickly swept through the Japanese outposts and then drove the Japanese from the city in two days. Again the Japanese withdrew after the initial fighting into the inaccessible mountain jungles. In the fighting, the Americans lost 20 men, the Filipinos lost 42 men, and the Japanese 80. Responsibility for mopping up was turned over to the Filipino guerrillas and the 2d Battalion, 160th Infantry. Some 1,500 Japanese later surrendered at the end of the war. Because General MacArthur planned to stage two divisions from Iloilo for the invasion of Japan, engineers began repairing the local airfield and starting base construction at once. Tigbauan has 16 complete elementary ( public schools ), 1 private school, 5 primary schools, 45 Day Care Centers, 8 National High (Secondary) Schools, 4 private preparatory schools, 1 Catholic Kindergarten school. Schools are encouraged to establish and maintain biological/ vegetable garden and participate in the coastal and environmental clean up and tree planting. Tigbauan ranks as one among the leading municipality of Iloilo in fish production. The ten coastal barangays of Barroc, Atabayan, Baguingin, Namocon, Tan Pael, Brgy. No. 8, Brgy. 9, Parara Norte, Parara Sur and Buyu-an. The latest survey[by whom?] showed that barangays Barroc, Atabayan and Baguingin produced less than 2,000 tons of fish mill and bagoong and were sold to fish millers and poultry raiser in the province. Saludan came from the word salud or salud. 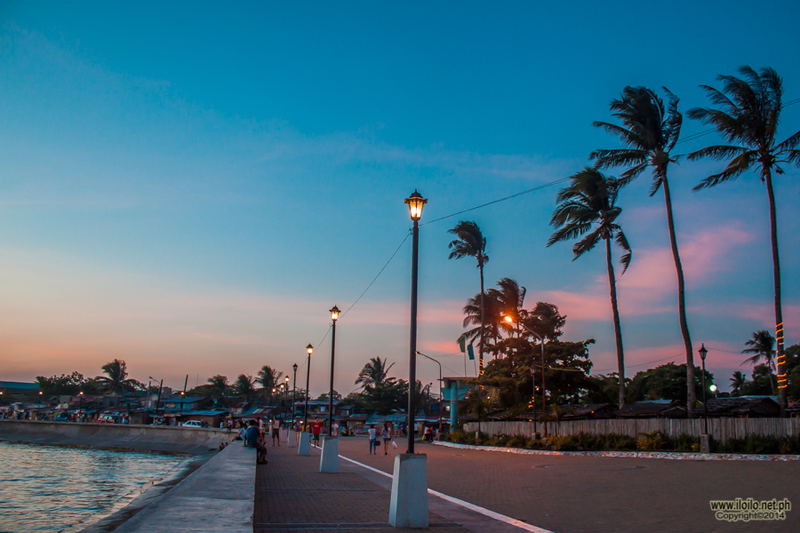 Tigbauan is coastal town its sea water abounds in different kinds of fish. An excerpt from a book, “The Philippine Islands,” by Blair and Robertson; 1493. 1898; Vol. XII, pp. 217, 219-220 of which Fr. Pedro Chirino related his experience and observations about our town states that, “The village itself was on the same shore, at the mouth of the river, of which I myself have enjoyed in abundance. As they were continually fishing on the beach, usually with three or four nets, they never made a haul without devoutly is regaling us with a part of it”. Since the beginning of recorded history-Spanish time, our fishermen have used nets or woven bamboos to catch fish from the sea or river and in the local dialect we call this salud. On the other hand, aside from our winter resources, our forests, farmers and hills also abound in rich natural resources. The book further states; “Tigbauan has a very beautiful district with many villages extending more than six leagues along the coast of the sea; the entire district is well supplied with game, fruits, and vegetables and fish from the sea. The people are very industrious and always pre-occupied the men with their fisheries and farming, the women with their spinning and weaving…”Primarily our farm product is rice. Whether crude farming ways and tools or modern agricultural machineries are used we use the term salud. In threshing rice using the old method or the modern equipment – kita nagasalud man gihapon. Our tuba is famous for its sweetness and as practiced and tuba ginasalud kang salud, and salud also means the method of catching “Hipon” or shrimps “Salud ta sa Palupadan”. the name was coin by Hon Sangguniang Bayan Member Rexfel G. Trivilegio of Brgy. Atabayan, Tigbauan, Iloilo Thus, the Saludan Festival is born. During the first term of Mayor of Tigbauan, Hon. Myrna M. Torres in 1998 she signed an Executive Order declaring the third Friday of October every as the “Adlaw sang Tigbauan”. The assigning of October as the month where the “Adlaw Sang Tigbauan” falls is very significant. History tells us that because of the increase in population in Sirawagan area (the place where the Bornean datus settled), the families from the tribes of Labing-Isog and Mangwalis sought for greener pasture. Following the course of the rising sun they landed in the place which they called “Katigbawan” because of the plentiful growth of giant grasses known to them as “tigbaw”. This place was said to be Parara by word of mouth handed down from generation to generation, it is believed that the families of Labing-Isog and Mangwalis reached the place when the native feasted for bountiful rice. To the present time, the season for gathering rice crop is mostly in October. During this time of the year the fishermen also rejoice for a bountiful sea catch. Thus, “Adlaw Sang Tigbauan” is celebrated in October. 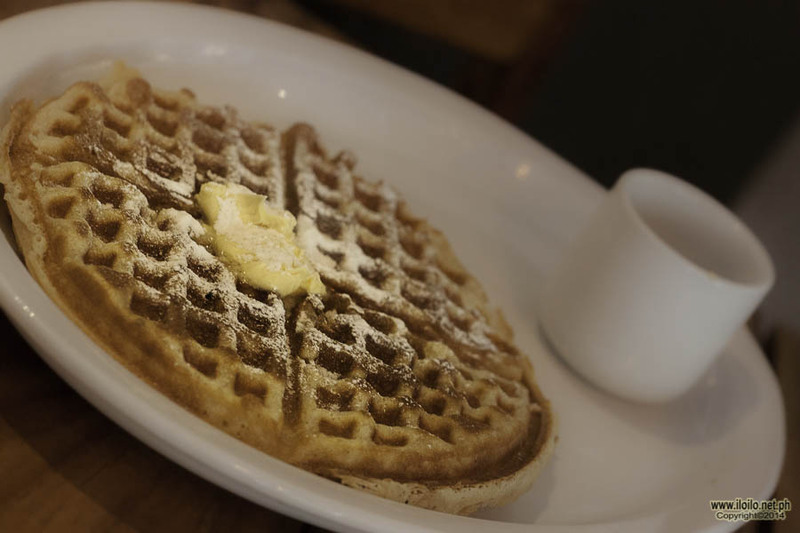 To make this day more significant, the “Saludan Festival” was launched. Tigbauan, is one of Iloilo’s treasure trove, packed with “gems” from more than a millennium of historical significance. 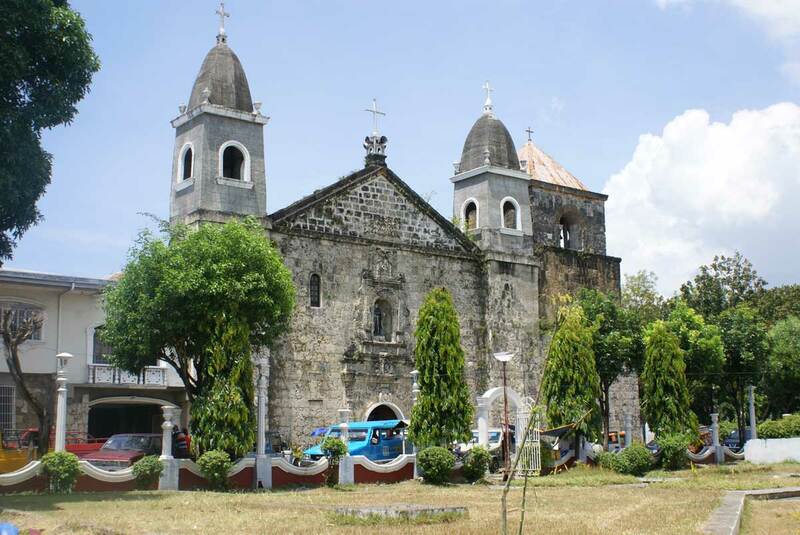 With one foot in the past, and the other in the present, Tigbauan allows every visitor a glimpse of its heady blend of architectural masterpieces and natural wonder, the town’s 134 years of history are on display when you look. The town delights its St. John of Sahagun Parish. Constructed using forced labor under Fray Florencio Martin in 1867, its beautiful baroque facade in rococo finish, allow visitors a glimpse of the community’s intense spirituality. 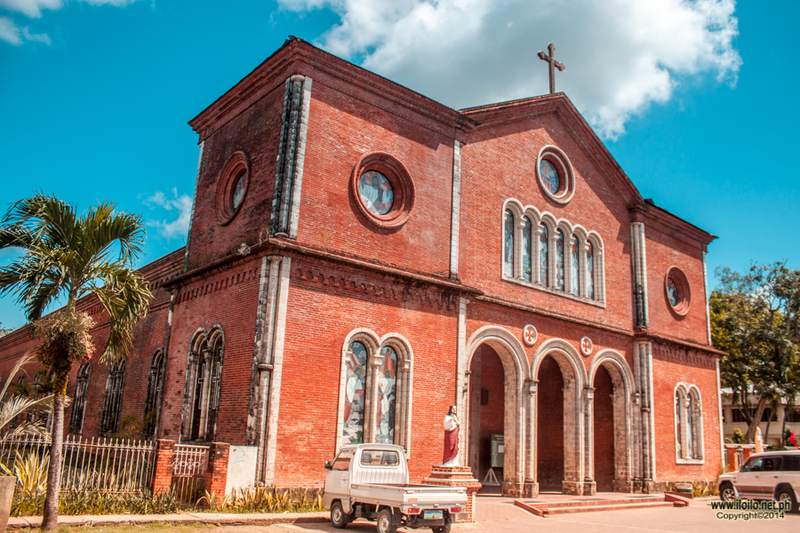 The church’s remarkable architecture with its façade and tower, survived the ravages of the Second World War and the great earthquake in 1948. Presently, the mystical beauty of its altar depicts heaven and Dante’s Inferno; the church walls with the Way of the cross, all done in intricate mosaic of colored stones is a sight not to be missed. On its churchyard remained a marker of what used to be the site of the first Jesuit boarding school for boys in the Philippines established in 1592 and renowned that time for their liturgical music during church services. 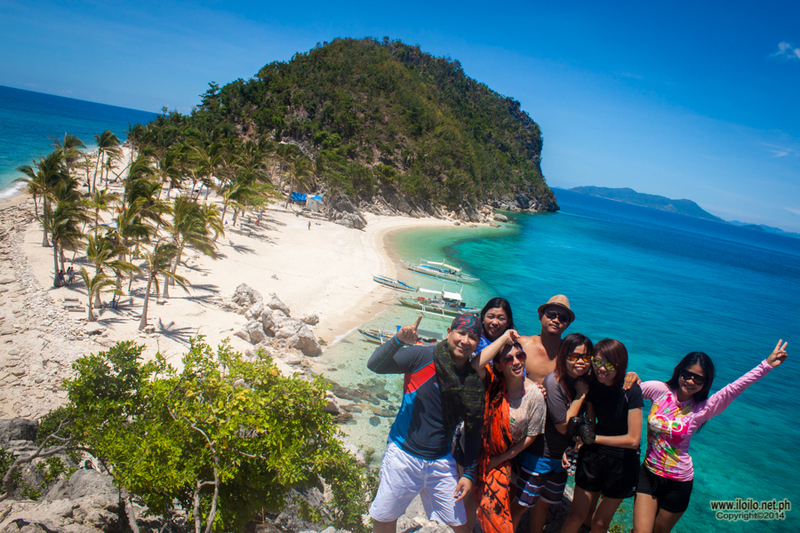 The beach in Barangay Parara was the landing site of America’s 40th Infantry Division to liberate Panay and Romblon during the Second World War on March 18, 1945. The same area became the landing site in the 13th century of the descendants of the Bornean Datus.